Welcome to the Mawson Lakes Campus! 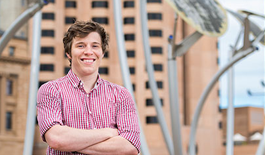 This is a vibrant campus where UniSA’s science and technology students undertake their studies in some of the most advanced teaching and learning facilities available in South Australia. Roll over the icons below to view information and pictures, and click on the pictures for videos and virtual tours to learn more about our innovative research, cutting-edge facilities and experience-based programs. 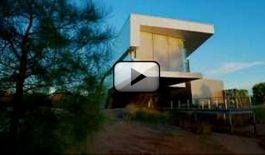 Note: The virtual tour does not display properly in some versions of Internet Explorer. Support Facilities - We have many facilities to support your learning at University, such as computer pools with a wide range of software, which can be accessed at any time with your student ID. The UniSA's Student's Association (USASA) is also located here. They manage all sporting and social clubs as well as student events. 3D Printers - Instead of building expensive moulds, 3D printers can make prototypes of digital models and can be use dto make small engine parts, robotic machinery of medical prosthesis. With a growing number of printers, these are used in our engineering programs and the possibilities are only limted to your imagination. Engineering, Electrical and Mechatronic (SCT Building) - Combining mechanical with electrical engineering and computer science, mechatronics has broad implications in the areas of robotics and automated machines and vehicles. With a purpose built mechatronics lab, students, such as Daniel Griffiths, can design and then operate sophisticated machines that, when activated, require minimal human intervention. Engineering, Mechanical (M Building) - This space is used by mechanical engineering students to complete the practical components of their program. Each year a group of students design and build a Formula SAE Car to race at a national competition. They also get involved in the Warman Challenge in second year, which you can watch below. Maths (OC Building) - TREV, (the Two-seater Renewable Energy Vehicle) is the result of a collaboration between mathematicians and engineers, with mathematicians contributing to the project by calculating the best design for optimal energy use and efficiency. The same team that built TREV is currently working on a solar-powered vehicle to transport pregnant women to hospital in Zimbabwe. Maths is more than just numbers, with practical applications in many different areas. Click to view: Future Industries Institute Lab - X Building. Click to view: Mawson Institute laboratory. 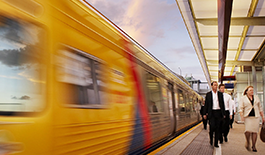 Mawson Lakes is only 14km from Adelaide city and is easily accessible by car, bus, train or bicycle. Watch the exciting activities that go on at the Mawson Lakes campus at full speed. Find out about the programs and courses that we have at Mawson Lakes, including science, engineering, technology and maths, amongst others. Need a downloable map? 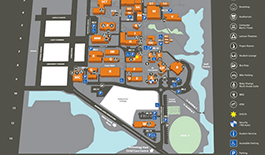 Let our easy-to-read map help you get around campus. 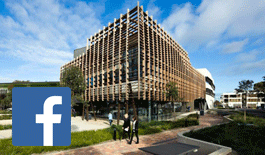 UniSA Mawson Lakes has its own Facebook page! 'Like' us to find out about campus happenings, activities, events, programs, research and more. Join the conversation now.